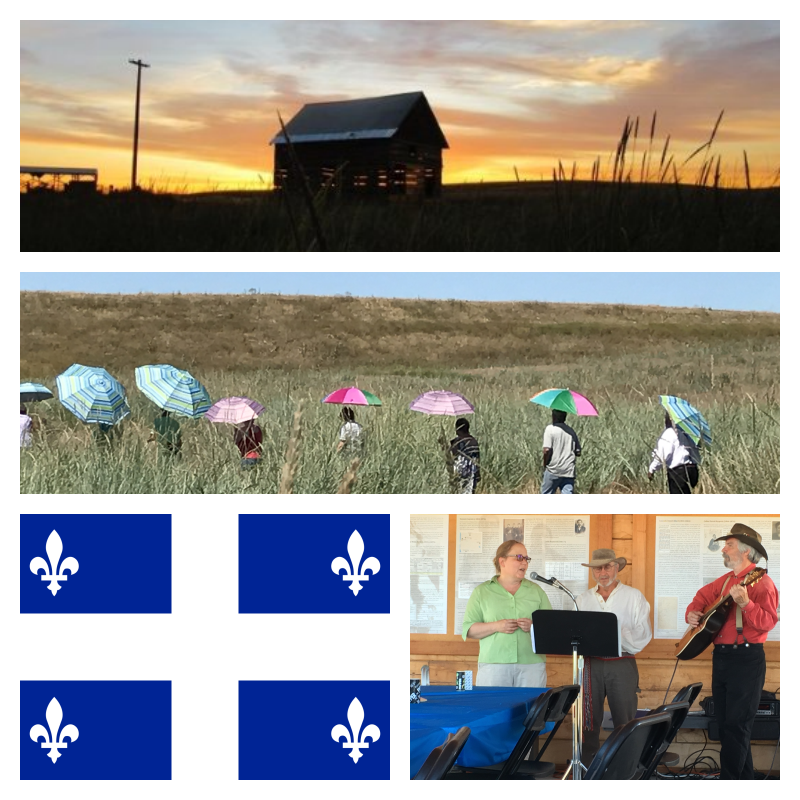 The 2018 St. Jean-Baptiste Day Celebration was held at the Frenchtown Historic Site (8364 W. Old Highway 12, two miles west of the Whitman Mission) on Saturday, June 23, 2018. We had such a good time, we forgot to take pictures! So many people came on the bus tour that we had to have an extra carload follow along behind. Margie set up an amazing potato bar for everyone. She made 75 baked potatoes, and we ran out! Thanks to everyone for a great event. St. Jean-Baptiste Day is the national holiday of Québec, a celebration of French-Canadian culture held on the birthday of Quebec’s patron saint, Jean Baptiste (John the Baptist). This year’s event featured a historic tour of old Walla Walla led by local historian Sam Pambrun, tours of the St. Rose of Lima cemetery (1876) and the Prince’s cabin (1834), displays by the Whitman Gem and Mineral Society, wood-working demonstrations, French-Canadian music, artifacts of the fur trade era, a mining history display, and Living History players. 10:00 AM: Tour bus leaves the Frenchtown Site for a tour of early Walla Walla. Reserve your free ticket at https://tinyurl.com/SJB2018. 12:00 PM: Free potato bar lunch at the Frenchtown Site. 1-3:30: Tours, demonstrations, and events at the Frenchtown Site, including cabin tours, cemetery tours, and French-Canadian songs.